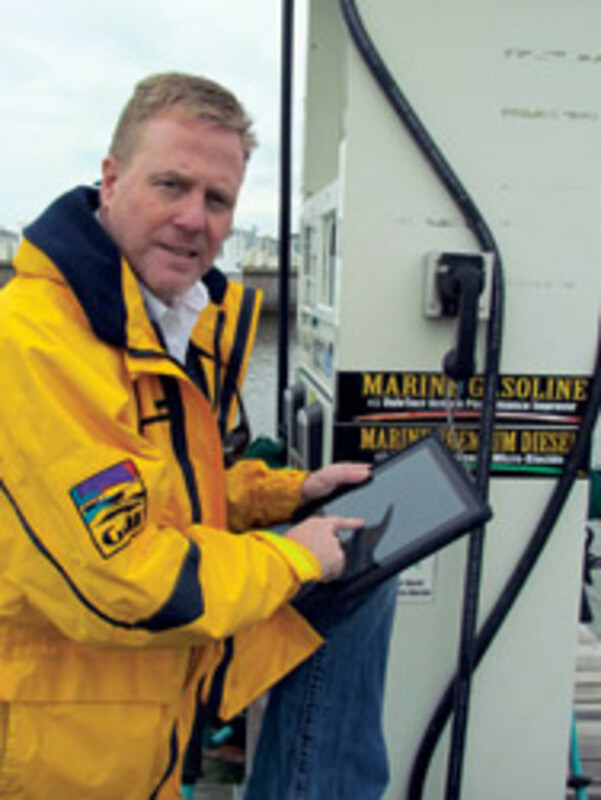 Timothy Kleihege was searching for an app that would help him compare fuel prices along Lake Michigan, where he operates his yacht brokerage, The Mariner Network Yacht Sales. But when Kleihege began searching nautical apps on iTunes, he realized that what he wanted didn’t exist. In fact, he was surprised by how few nautical apps there are. It was about that time that Kleihege’s son began to talk about an app his friend Ryan Worl had developed to help the boys keep their high school classes, assignments and exams organized. So Kleihege enlisted Worl’s help and formed Seafaring Solutions Ltd. to develop his idea into an app. In the two years that Lake Michigan Marine Fuel Prices has been available in the iTunes store, a couple of thousand have been sold at $9.99 a pop, Kleihege says, and his Seafaring Solutions has produced two more apps. Reciprocal Yacht Clubs of the United States, which costs $1.99 in iTunes, helps users locate yacht clubs around the country and identify those that have reciprocal privileges with their own facilities. But Kleihege says he’s most excited about the third app, Chicago Boat, because it is capturing e-mail addresses from potential customers in a market he’s hoping to break into. So Kleihege developed a free app comparing fuel prices only in the Chicago area so people who limit their boating to those waters don’t have to pay the $9.99 for an app covering all of Lake Michigan. “Another feature in that app is that the [user] can click onto a link that goes to our website, and whatever harbor they are in, we will provide them with a free digital aerial photo of their harbor,” Kleihege says. “In many cases that person can see their boat if it was in the slip at the time the picture was taken.” In return for the free photo, Kleihege makes a new contact. Kleihege, who was a stockbroker in Chicago for 20 years before he started his marine business eight years ago, hired a helicopter to get about 100 high-resolution aerial photos — one for each harbor in the Chicago area. Because his app focused on Chicago, it stood to reason that most users were residents and kept their boats in nearby harbors. Kleihege says he gets a dozen or more requests each day for the free photos. Each request allows him to develop contacts with potential customers and expand the reach of his bimonthly newsletter focusing on Great Lakes happenings, which he also uses to brand his company name to area boaters. “We have very few people who opt out of that newsletter because I imagine we’re designing it well enough and providing enough interesting content that they enjoy receiving it,” he says. Although a reporter’s informal inquiry about people’s favorite apps yielded anemic results, one app made several appearances. That was MyBoatShow, launched in October at the Fort Lauderdale International Boat Show by producer Show Management. Efrem “Skip” Zimbalist III, CEO of Show Management’s parent company, Active Interest Media (which also owns Soundings Trade Only), says he began thinking about such an app as a result of feedback from Fort Lauderdale attendees. With 3 million square feet and six venues, it’s easy to see how the show could be overwhelming. Zimbalist wanted to develop the app so that attendees can access all of the data they need without being on the Web; even with extra Sprint and AT&T access points, service can be dodgy because of the volume of electronic equipment and radars featured in the show. Zimbalist also wanted to make sure the graphics were visible in bright sunlight, that the app was accessible on iPhones and Androids and that it worked for all of AIM’s shows so they didn’t have to reinvent the wheel for each. Because designers wanted the app to be ready in time for FLIBS, Zimbalist put on hold another of his criteria — using GPS to help attendees find their way around. Zimbalist hopes designers eventually can figure out how to add GPS, but he is essentially pleased with the app. One feature that appealed to exhibitors was AIM’s integration of the app with its own proprietary show layout software. 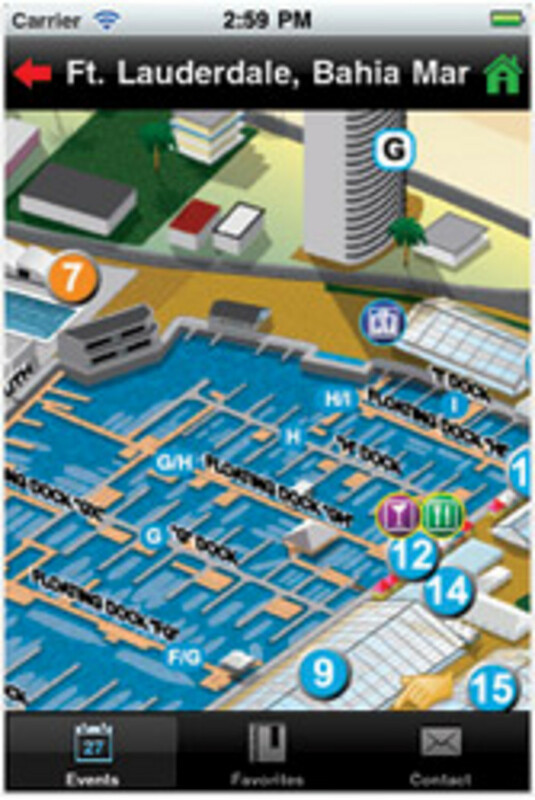 That way, if an attendee was held up or if an exhibitor sold one of the boats planned for display, show organizers could update the internal system. Those updates were automatically pushed out to the app each day. “We needed flexibility to give people a version of the app two to four weeks before the show, but also have it updated easily as we changed all these things,” Zimbalist says. In addition to those considerations, Zimbalist wanted the app to make it easy for attendees to sort information and keep track of anything that had grabbed their interest to make follow-up easier. Links to each exhibitor were provided so shoppers could easily link to the company’s website and get information they needed, providing a benefit to the exhibitors as well. “So if you want to go back after the show and say, what was that trawler I looked at, or that radar system I looked at? Or you decide you want to call one of them, the phone numbers and links are all right there on your phone,” Zimbalist says. There were about 5,000 downloads and few complaints, Zimbalist says. The one he did hear, he says, was from people who waited to download the app until they were out on the docks, where Web service was spotty. Downloading the app where Wi-Fi is iffy can take awhile because of the volume of data being transmitted. Next year, show organizers will encourage users to download the app before they get to the show. A surprising number of industry players admit that they don’t use many apps on a day-to-day basis. Several say they don’t use them in their business. Navionics, an app that Soundings Trade Only profiled last summer, was mentioned several times as being a favored navigational app because it uses vector charts instead of raster charts, but one person mentioned CaptainsApp. Others say they rely most heavily on weather and tide chart apps. Jester Communications, a South Carolina-based company that specializes in creating apps for the marine industry and politicians, is counting on more businesses entering the market, according to founder and CEO Jared Jester. 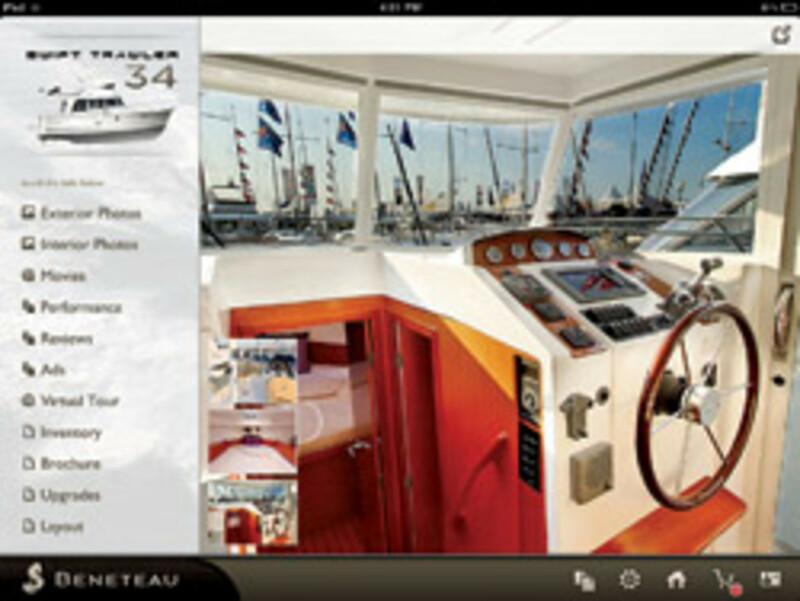 Jester Communications, or JesterCom, has created an app for Beneteau and has one in the works for MasterCraft. Beneteau salesmen carry iPads — partly paid for by Beneteau and partly by dealers — that show shoppers boats that the dealers don’t have in stock. The app now has a print function after dealers said their customers wanted it. At FLIBS, Jester says there was a sharp increase in interest after three slow years of building apps for the marine industry. “The growth of tablets in [business-to-business] industries is incredible,” Jester says. In 2010, 2 million tablets (iPads and the like) were sold, and by 2014 that number is projected to be 209 million — 2,000 percent growth, Jester says. Smart-phone sales totaled 208 million in 2010, and that number is projected to be 20 billion by 2016, Jester says. Jester thinks the industry is catching on, though, and companies are increasingly budgeting and planning for apps. “We feel that, by 2012, the marine industry is going to embrace it wholeheartedly,” Jester says. Jeff Vaughn began looking at apps right away when he returned to Boston Whaler as vice president of marketing and customer service after eight years in other areas of Brunswick. 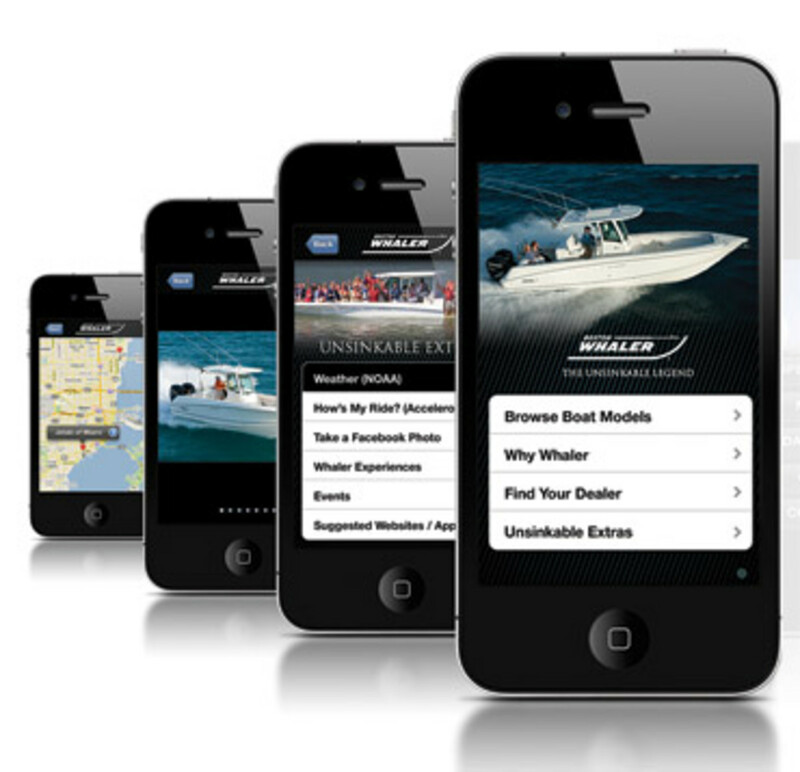 Vaughn enlisted Massachusetts-based Alan Roche Marine to develop an app for Boston Whaler. Vaughn and the team at Alan Roche made sure the app had every model in an easily navigable build-a-boat format so that customers who prefer not to carry bulky brochures can access all of the information. It also allows users to link with dealers in unfamiliar territory. The app allows easy access to social media through the filter of Boston Whaler, allowing users to post photos or videos to Facebook, Twitter, YouTube or Flickr. Thousands of people have downloaded the app, Vaughn says. One challenge is keeping current with constantly evolving technology. “What we have to offer now may be cutting-edge and ahead of the curve, but we know that six months from now it could be totally different,” Jester acknowledges. Boston Whaler has beefed up its Facebook and Twitter presence to stay relevant. That has helped Whaler jump from less than 4,000 fans last year to about 15,000 this year, Vaughn says. Companies have to be flexible when choosing areas to concentrate on, Vaughn says.